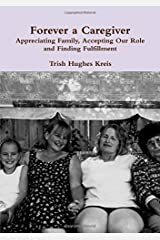 Trish Hughes Kreis works as a full-time Legal Administrator and is a freelance writer, blogger and videographer who advocates on behalf of her disabled youngest brother, Robert. Robert lives with intractable epilepsy, has an unwavering faith and a delightful way of declaring everything excellent. Robert has lived with Trish and her husband, Richard, for several years and they do their best to keep him happy, healthy and, well, excellent. 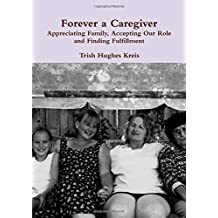 Trish is the author of Forever a Caregiver and co-author of the 365 CaregivingTips: Practical Tips from Everyday Caregivers book series. She can be reached through her blog www.RobertsSister.com, Facebook (www.facebook.com/robertssister) or Twitter (@robertssister1). 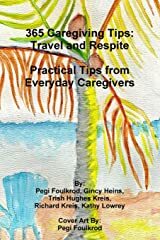 She can also be found through www.365CaregivingTips.com. As a caregiver, I know the importance of self-care. 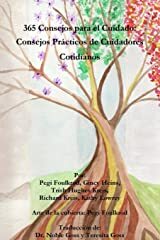 Heck, my friends and co-authors have written books about it! I know, really know, how critical self-care is for caregivers. It is extremely important for caregivers to find a moment to breathe. To call a friend. To treat ourselves to a pedicure. To continue to paint or take photos or garden or spend time with grandchildren – whatever our passion might be. Yep, that’s what I have been saying to people lately. I look the same but, yes, I had a stroke. Not a TIA but a small stroke. My episode in March now appears to have been a TIA. I am okay and I am very, very lucky. This has been such a crappy year (and, yes, I realize it is only half-way over!). I am wishing so hard it would be 2019 that I actually have written that down when dating a document or logging Robert’s vitals. 2019 cannot come fast enough. Well, that didn’t last long. Three of the four people in my household were hospitalized at least once since December. A couple made two visits. That’s been the refrain in my household too. Well, not really. That’s actually wishful thinking on my part but I had this title in my mind for a month when I really thought things were settling down. I am already thinking about Epilepsy Awareness Day at Disneyland 2018. That’s what this event does to you – it inspires, educates, supports and leaves you feeling all gooey inside! And that’s not just from the Mickey Mouse Rice Krispy chocolatey goodness treat that I had to have on Day 1. We are updating our website!! During “construction” our website will be down but we will be back better than ever! Don’t worry – the daily tips will continue during construction but will be posted directly to Twitter and our Facebook page. Be sure to follow us so you don’t miss the daily tips! Many thanks to Kathy’s son, David Lowrey of Blue Cord Concepts, for his time and work on the website! Tip 53. If possible, bring a days’ supply of your loved one’s medication with you when you first go to the emergency room. It might take several hours for the hospital pharmacy to fill any medications needed and if there are unusual medications your loved one needs the doctor may allow your home medication to be used. Always check with the doctor before administering any medications, however. Tip 51. Hospital-induced delirium is very common. This is a temporary problem but one which is often undiagnosed. The sooner it is recognized, the quicker your loved one can recover. Are you a caregiver in need of help? 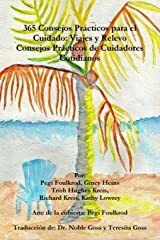 Check out the practical tips in these books. 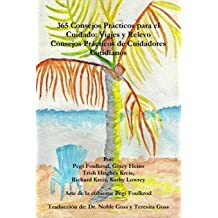 Available in print, eBook and two are in Spanish! Tip 59. The options for medical tests are oftentimes dependent upon insurance approvals. If there is a medical test that is medically necessary but is being declined by insurance, contact the patient advocacy department and appeal the decision. Tip 56. When a blood draw becomes problematic, suggest the nurse use an ultrasound in order to reduce multiple, painful sticks. 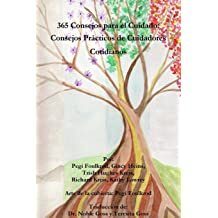 The tips posted this week are from the Hospitals: Medication and Medical Procedures chapter of 365 Caregiving Tips: Hospitals, Care Facilities and Hospice, Practical Tips from Everyday Caregivers. Tip 54. Look at all medications the hospital staff is giving your loved one. Ask questions if the pills do not look familiar. It might be the medication is a different brand than the kind you have at home but it is very possible they are administering an incorrect pill. Tip 52. Always check with the nurse if your loved one is requesting medication from you or a visitor – even if it is an over-the-counter medication. 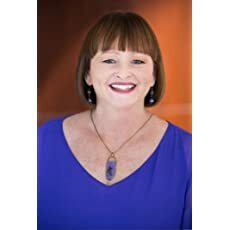 “I’m so stressed out right now!” has probably been on the lips of every caregiver and truth be told, perhaps every person that has needed care as well. As caregivers we know the importance of self care. Yet we also understand how hard it is to find time for ourselves while we are trying to care for others. We know it’s not easy to carve out time for our own PCP or Dental appointments, so much of the time we neglect ourselves at the risk of our own health. So what do you do? As a caregiver, you not only care for your loved one but need to also do a few things to care for yourself. There is no time more important to do that than when your loved one is under hospice care. The beauty of that time is there are things you can do to care for you while also caring for your loved one. The tips posted last week give you a few ideas on how to do just that. Tip 50. If there is a prolonged hospital stay or you note any different behavior in your loved one, check the medications they are being given. A doctor may have changed something while you were out or hospital-induced delirium may be a factor. Tip 344. Hospice is there for you too. Use the time they come to take a nap if you want or need one. This is an emotionally exhausting time and we are pretty sure you will need one. 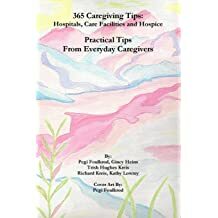 The tips posted this week are from the Hospice: Caring for You chapter of 365 Caregiving Tips: Hospitals, Care Facilities and Hospice, Practical Tips from Everyday Caregivers. Tip 341. Take some time for yourself whenever you can. Rejuvenate before the next crisis. 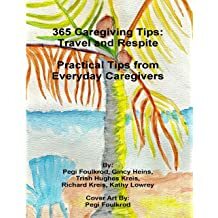 Kathy is taking time to relax The tips posted this week are from the Hospice: Caring for You chapter of 365 Caregiving Tips: Hospitals, Care Facilities and Hospice, Practical Tips from Everyday Caregivers. Tip 346. Smile and laugh often. We guarantee you will not regret it. Tip 351. Start a puzzle! Let your loved one help put it together when they have the energy and keep it out so visitors can participate too. Take a photo of the finished puzzle. A sense of accomplishment can be important at this time. Tip 349. Watch favorite movies together. Watching anything together can be fun! Wishing you a very Happy (and a little spooky if you like that sort of thing) Halloween!! Trish's brother, Robert Wright, and his pumpkin! Tip 347. Plant a favorite flower of your loved one so they will always be with you. Tip 343. Invest in baby monitors or cameras. Put one on the bedside near your loved one and carry the other monitor or video display with you. This allows you to step out for fresh air or do chores without worrying about your loved one. 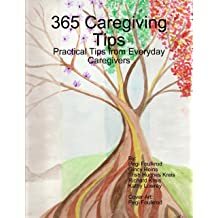 The 2018 365 Caregiving Tips Calendar is out! Just hearing the word can take our breath away. But know this: Using hospice is one of the greatest ways to help your loved one when it is time. Artwork by Pegi FoulkrodThat’s hard to come to terms with but we have been there and have come up with a few gentle tips to help you do just that. Tip 337. Many caregivers feel guilty if they are not in the room with their loved one when they die. Consider that it is very possible your loved one chose to pass on when you stepped out of the room in order to spare you. It is quite amazing how often this happens so please consider letting go of the guilt. Tip 333. Try to come to terms with the end being near. The more at peace you can be with the situation, the more your loved one will feel they can go. 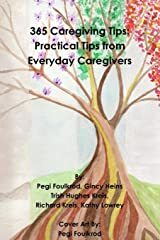 The tips posted this week are from the Hospice: Coming to Terms chapter of 365 Caregiving Tips: Hospitals, Care Facilities and Hospice, Practical Tips from Everyday Caregivers. Tip 334. Remember that hearing is one of the last senses to stop working before a person passes away. Be careful what you say in someone’s presence. The 2018 Calendar is Out! Tip 330. Talk, if possible. Talk as much as your loved one wants. They may want to discuss death and final wishes. Be ready to comfort them and remain calm. 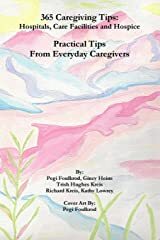 365 Caregiving Tips Calendar The tips posted this week are from the Hospice: Coming to Terms chapter of 365 Caregiving Tips: Hospitals, Care Facilities and Hospice, Practical Tips from Everyday Caregivers. Tip 328. Make this a special time for the two of you. Spend as much time together as you can or want to with your loved one. Even if they are bedridden and sleeping, they know you are there as do you. possible once she was in hospice. The silly pictures are the most cherished. Unbelievably, I received a request to complete a survey about Robert’s recent stay at Gramercy Court. A day later, I received a statement showing a past due balance for the amount I paid (and was later refunded) for Robert’s stay. Oh boy! Corporate America – form letters will be your downfall! I took the opportunity to send a short email to the President and CEO of Generations Healthcare which is the large corporation that owns and operates Gramercy Court. Whoever says the government doesn’t act quickly has never met the Licensing & Certification Program (L & C) within the California Department of Public Health. My daughter’s wedding was the perfect day. Absolutely perfect. Rachel and her fiancé (ack! Husband!) planned every last detail to perfection. Matt (her husband – see? I’m starting to get the hang of that), even called it a “Pinterest Perfect” wedding. And it was! Moments are what make caregiving special. The endless days of routine mixed with crisis can be exhausting and frustrating and overwhelming but when we can hang on to the moments - that is what can turn exasperation into delight. I can’t really consider myself my dad’s caregiver because before he died he didn’t want me going to doctor appointments with him or telling him what he should be doing to manage his end stage renal failure. Always excellent.Increase the number of appointments per year with a doctor (or multiple doctors)? Of course; it’s needed. I don’t know how I got so lucky! Coach Jerry Kill’s marketing team recently contacted me and asked if I was interested in interviewing Coach Kill. Coach Kill, the former head coach of the Minnesota Gophers? Coach Kill who continued his high-profile job while seizures very publicly besieged him? Coach Kill who became an inspiration to those with epilepsy and those of us who care for someone with epilepsy? It is hard to believe Robert has lived with us full-time for four years! The first couple of years he lived in our family room and used a downstairs half-bath – no tub; no shower. Boy was he clean, though! It’s amazing how clean a person can get just using a shower chair, a bowl, sink and a thousand towels. What Would You Do Without Taking Care of Robert? We all say things that come out different than we had intended. “I’m worried about you” sometimes comes out as “Boy, do you look tired!” Everyone does it but caregivers probably hear more than their fair share of ill-advised comments from good-intentioned people. Thursday night: Richard finishes packing for his trip to see Airforce Son before his deployment. Taz sniffs the suitcase, tries to get into the suitcase then paces around the house. I decide to lose five pounds while Richard is gone. It’ll be easy: stop eating junk. Richard and I were talking recently about Robert and marveling at how he has lived with us for almost four years! When I first started caring for Robert it involved intervening when he had a serious infection and overseeing his care in the hospital, a Skilled Nursing Facility and an Assisted Living Facility. November is the “official” Epilepsy Awareness Month but epilepsy and seizures and caregiving don’t stop just because it is December. People live it every day, every month, every year. I did it four years ago and wanted to participate again this year in the follow-up interviews. Four years ago I posted one interview every day during the month of November for Epilepsy Awareness Month and wanted to do the same this year with a mix of new interviews and follow-up interviews.